Gary Cooper of Belfast, Maine created the obverse (heads) design that appears on all coins in this program. 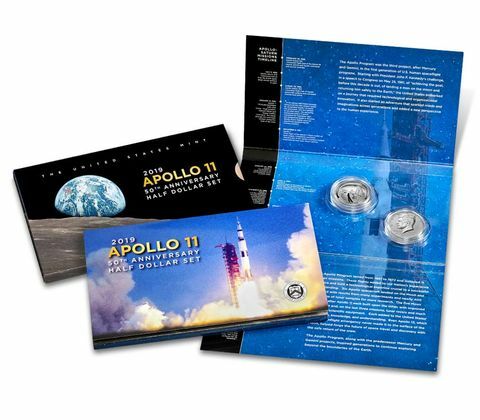 Cooper’s design features the inscriptions “MERCURY,” “GEMINI,” and “APOLLO”–separated by phases of the Moon–and a boot print on the lunar surface. The design represents the efforts of the United States space program leading up to the first manned Moon landing. Additional inscriptions are “2019,” “IN GOD WE TRUST,” and “LIBERTY.” Mint Sculptor-Engraver Joseph Menna sculpted the design.